There are 12 reviews of Rockin' Rio. Spray some sticky papaya juice all over yourself--pin a couple mango slices into your hair--and save yourself $20. What a fruit bomb. It's not disgusting in itself, but as a fragrance.....ugh. And I'm not totally against fruity fragrances either. Sira des Indes is one of my favorites. It's more than just straight-up fruit, however. I guess everyone has a purchase they'd really not want to admit to. This was one of my earlier buys years ago when I'd just realised you could smell like fruit rather than flowers. Like the shock of looking into a mirror and realising what you look like in a size 8 dress when you are really a 12, rockin' rio, bless it's tropical tutti frutti bikini is no longer a scent I can take seriously. It's a happy mash up of juicy fruit in a big cocktail glass with a mahoosive pink parasol on top, which is great if you are actually on the beach drinking cocktails. And under 21. On the plus side, it certainly lasts and you'll get noticed as it's not shy in coming forward! A fruit salad that sat in the sun for too long. I would have liked this if I were 12 years old, maybe even younger. For grown women, this is a thumbs way down. 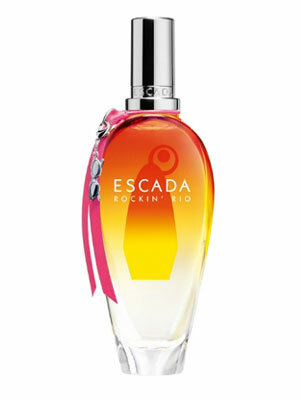 Theres something about the Escada tropical collection that I just love...Definately a fruity scent that is very girly. The fruity notes smell really great on a warm hot day with notes of tangerine, pineapple, peach, coconut, some woods and musk. Very bright and vibrant perfect for Miami's humid weather...maybe that's why I love Escada's line so much. 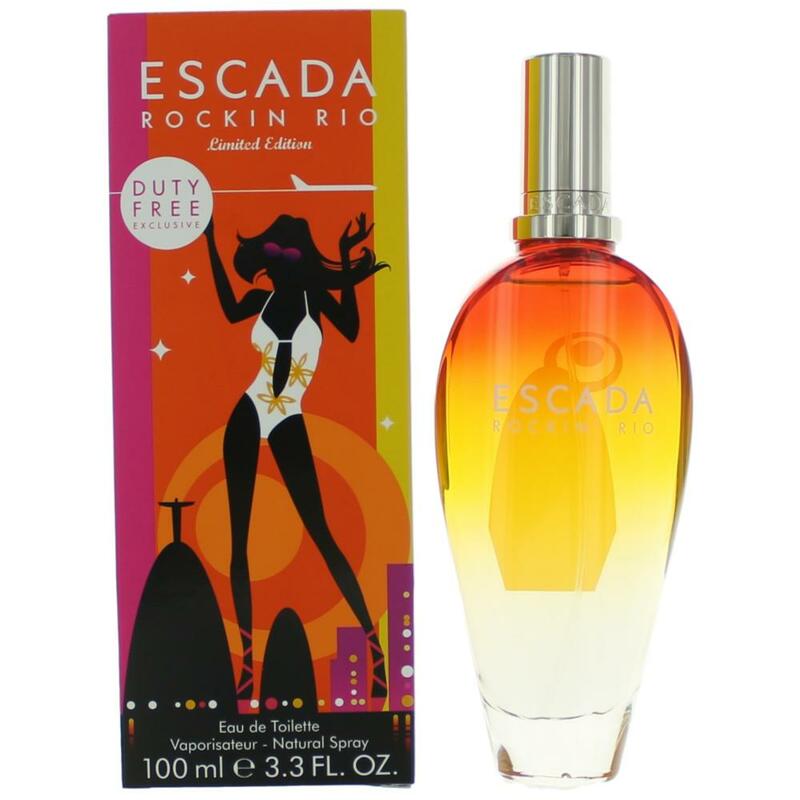 I suppose this was meant as a summer scent and the reference to Rio suggests a fragrance of tropical nature. Rockin’ Rio is primarily a fruity concoction, with pineapple, mango and probably other fruit. I really don’t care for a fragrance like this… The whole tropical thing in this fragrance seems more like a version of tropical Kool-Aid than a really well made, refined, fragrance using tropical fruit notes. There’s a carelessness, a lack of clarity in the way the tropical notes are presented that show the main purpose was to make a massively sugary fragrance with a hit or two of pineapple and mango syrup. Rockin’ Rio is syrupy and cheap smelling. There are no member images of Rockin' Rio yet. Why not be the first?